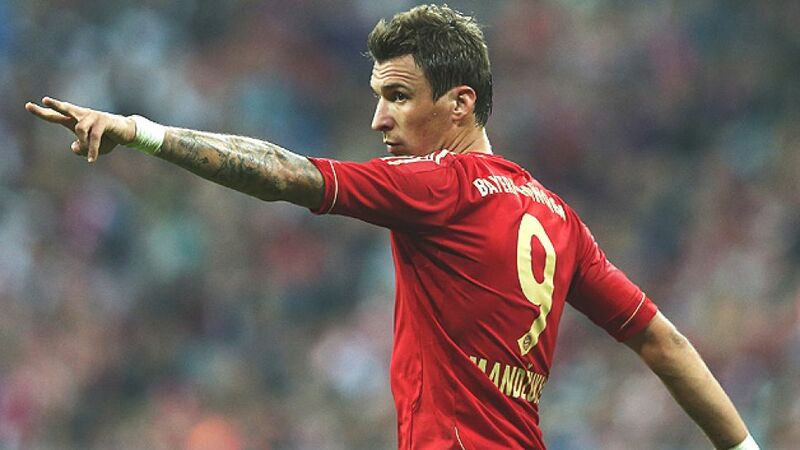 From refugee to revered striker, Mario Mandzukic has overcome the obstacles set before him in order to play at the pinnacle of German football with FC Bayern München. After his family had been forced to up sticks owing to the war in the former Yugoslavia, the Croatian took his first steps to becoming a professional footballer in Germany when he joined lower-league minnows TSF Ditzingen at the age of six. Upon returning home some years later, the striker was ushered into the youth system of local side NK Marsonia, where he went on to make his senior debut as an 18-year-old. Recognised as one of Croatia's biggest emerging talents, Mandzukic moved to the country's capital with NK Zagreb before making the breakthrough with record title-holders and city rivals Dinamo. The target man proved his worth as he provided 42 goals and 29 assists in 81 games during his three-year stint with the Blues. Dinamo consequently won the domestic double in his first two seasons (2007/08 and 2008/09), the second of which also saw him crowned the division's top goalscorer. A third consecutive league title followed in Mandzukic's last campaign with the club. VfL Wolfsburg acquired the services of the Croatian international in 2010 with the intent of partnering him up front with Edin Dzeko. However, it was only when Bosnian forward Dzeko departed that Mandzukic was able to make his mark in the Bundesliga, as he came to prominence under Felix Magath, scoring twelve goals and setting up a further nine during the 2011/12 campaign. The towering forward capped off a fine year by netting three times in as many games for Croatia at UEFA EURO 2012, a goalscoring tally that earned him a move to European heavyweights FC Bayern. His first season in Munich coincided with the club's most successful campaign yet, as they won an historic quadruple, with Mandzukic scoring 22 goals in all competitions, including the opening effort of the UEFA Champions League final against Borussia Dortmund, and he continued that excellent form by leading the goalscoring charts heading into the final stretch of the 2013/14 campaign. His exploits led to him receiving the Croatian Footballer of the Year award for the second consecutive year before being called into Croatia's 23-man squad for the 2014 FIFA World Cup where the striker is keen to put his talents on show for the whole world to see. Irrespective of his future success, it's been quite a journey for the man from little-known Slavonski Brod.